I spent last week in Ohio, visiting my Grandparents. Of course I had a whole list of things to do whilst there; write a blog post, read two books, do more research on building materials, catch up on letter-writing, and back up my computer, among other things. Of course I got sidetracked on my very first day there, by a brewing store from which I could not resist purchasing a book on cheese making. 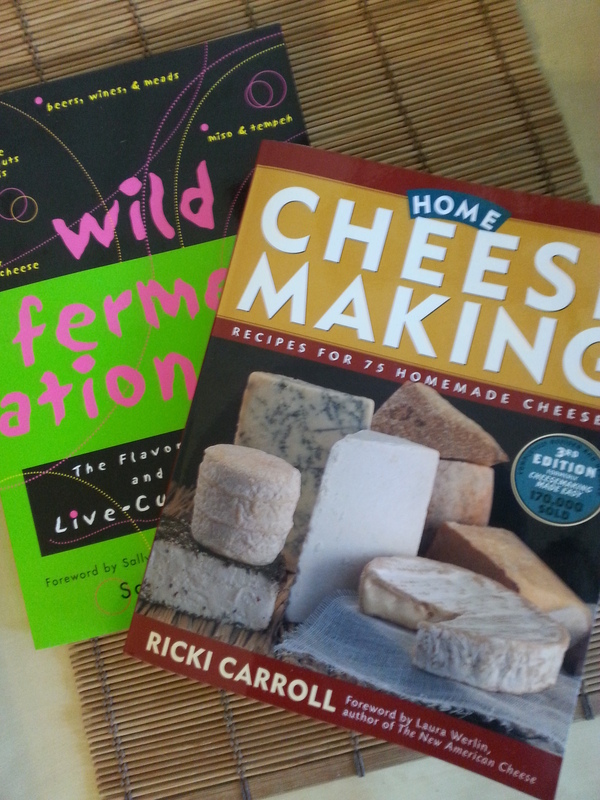 So now, on top of a strong desire to ferment everything in sight – thanks to reading “Wild Fermentation”, an amazing book sent to me by a good friend upon hearing of my sourdough obsessions – I also wish to make every kind of cheese imaginable. This, however, would require a milk source, which as my ever-practical Mother insists on pointing out, we do not have on St Croix. A goat? Perhaps that will be on my wish-list at some point down the road. For now I have settled for not one, but two strains of Kefir grains, one for use in milk (or even coconut milk), the other for use in water or fruit juices. Both provide an incredible array of pro-biotics, pre-biotics, and other digestive enzymes, breaking down the sugars in their home substance into an extremely nutritious food or beverage. Fizzy too! Kefir grains, like sourdough starter, are usually shared between people of such inclinations, being very hard to obtain commercially. Along with the giving of the grains, wisdom is often imparted; in this particular case, contact to a local source of raw goat’s milk, quite a prize, though too late for me! Kefir is ever so easy to make; take grains, add milk, and let sit in a jar for X amount of time. It can be a thick, yoghurty substance, or a light, bubbly drink. It can be sweet, or pleasantly sour and tangy. But always, it is delicious, healthy, and alive! Yes, we eat things that are alive around here, and enjoy every bite. Except the baby octopi, I can’t bring myself to eat, alive, that sentient of a being. 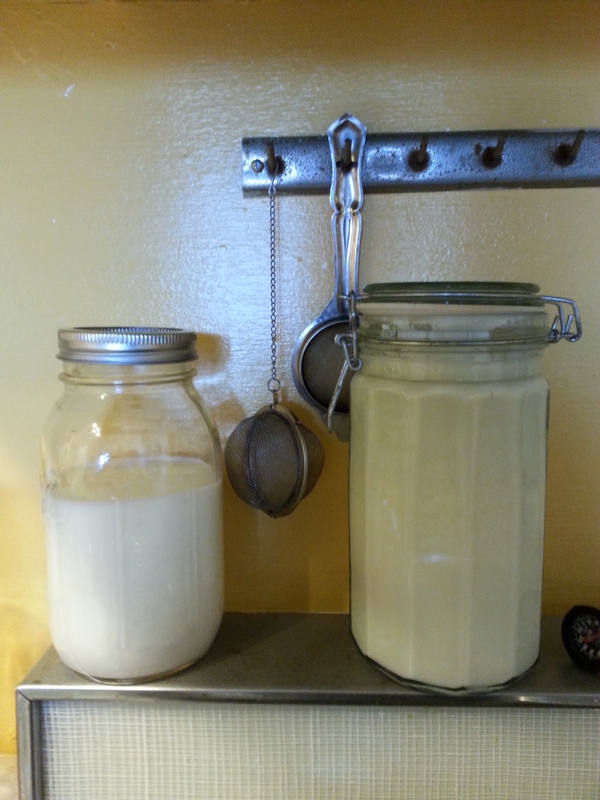 My first batch of milk Kefir was strained and tasted this morning, and is delicious, with a strong hint of goat (the woman who gave me the grains had used them exclusively with raw goat’s milk, and the flavour will linger for several batches). 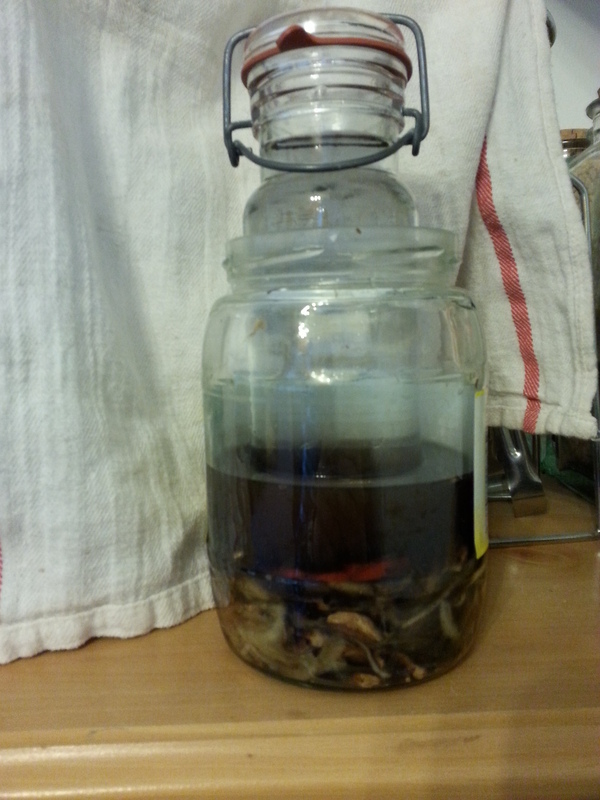 On the side, I have another ferment doing its thing. That is a small crock of mushroom and onion with a little salt, weighted and slowly pickling itself. I fear that I may have added a little more salt than was strictly necessary, which is slowing the entire process. Nonetheless, it already has a lovely earthy flavour, with the onion remaining crisp and clear, even after several weeks of fermentation. 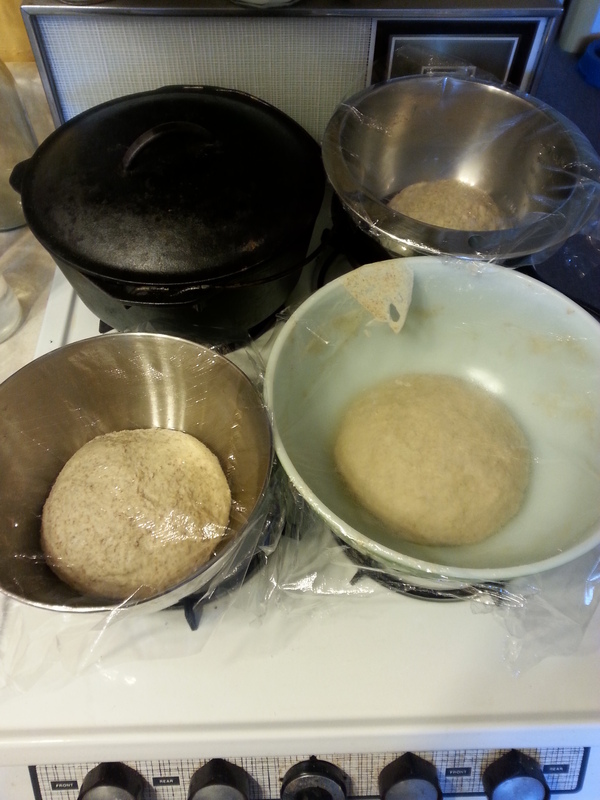 Of course I also have some sourdough bread on the go, having promised samples to several people before my impending departure from Baltimore. Only 5 full weeks left!